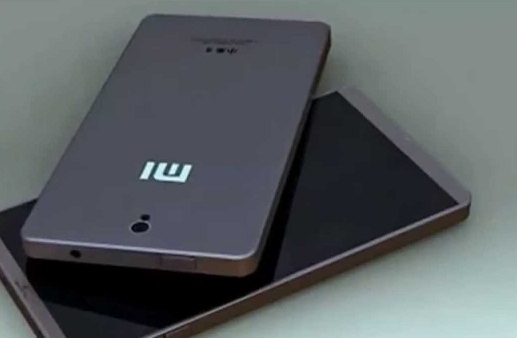 Tags: xiaomi mi5s might sport pressure sensitive display 6gb ram xiaomi note dual edge display snapdragon 821 6gb ram xiaomi max going have 6.44-inch display new leeco smartphones with curved display 8gb ram? 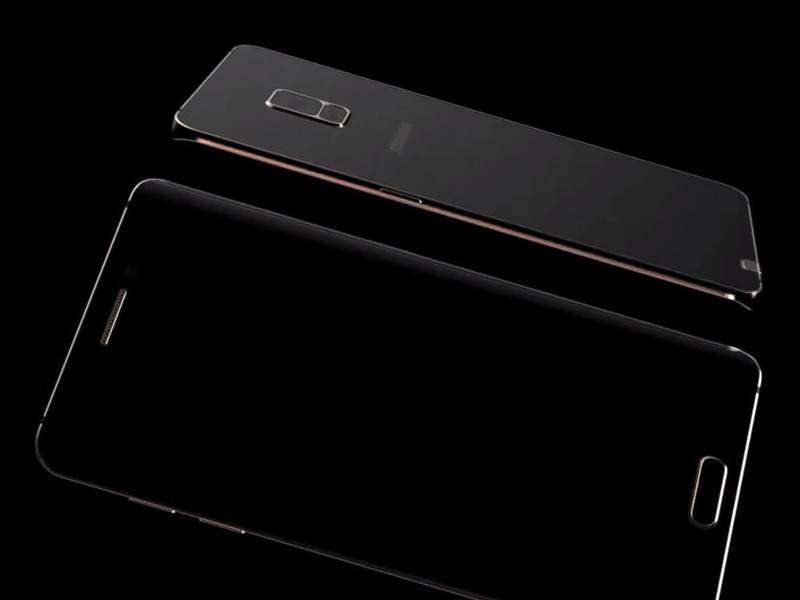 Unknown to many, Sharp was the original company who introduced the world's first bezel-less or borderless Android smartphone with the Aquos Crystal. Although the credit has to go to Xiaomi for refining it further with the Mi Mix and giving us the world's most advanced bezel-less smartphone at the time. 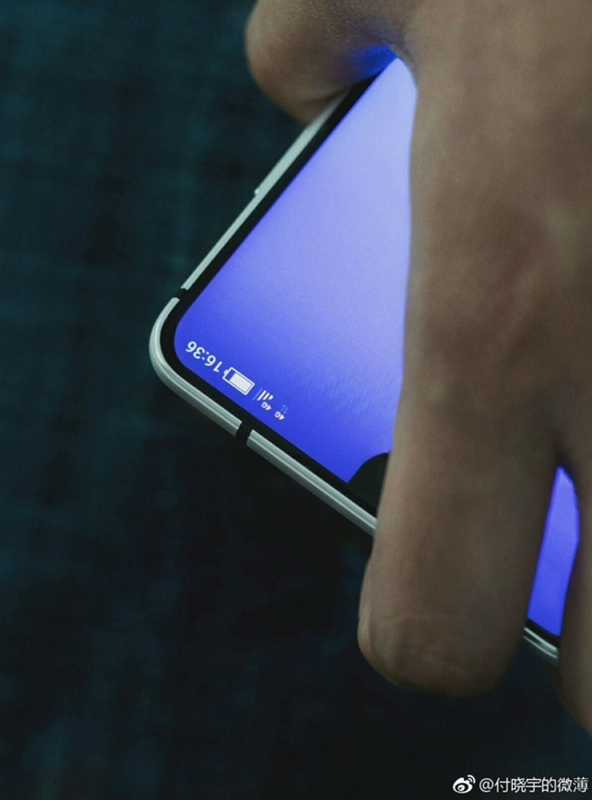 However, Sharp is not about to go out of the game it seems as the latest leak on Weibo is pointing towards another borderless smartphone from the Japanese company. From what we can see, it may resemble the Essential Phone in the way that it has a hole near the top of the display to allow for the front camera. Rumored to be the FS8010, this one won't be packing flagship specs like the upcoming Mi Mix 2 or any other borderless smartphone. Check it out below (based on what the rumors have provided us with so far). 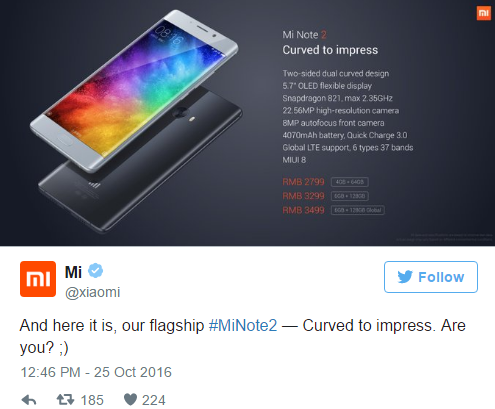 Tags: xiaomi mi5s might sport pressure sensitive display 6gb ram xiaomi note dual edge display snapdragon 821 6gb ram xiaomi max going have 6.44-inch display new leeco smartphones with curved display 8gb ram? sharp’s upcoming borderless smartphone may have hole display rouyu technology beats samsung launches world’s first smartphone with flexible display 5.8-inch curved display 000 mah battery upcoming galaxy note takee first android device with realistic holographic display 129usd only samsung galaxy now official with new unibody design qhd display exynos 64-bit specs photos price specs samsung galaxy edge+ official with 4gb dual-curved display huawei gets released with 6-inch display kirin 950 soc marshmallow samsung galaxy note pack uhd 2160×3840 dual-edge 762ppi display with 4gb ram samsung launch galaxy note august with dual-edge display would buy nokia with display carl zeiss camera optics? 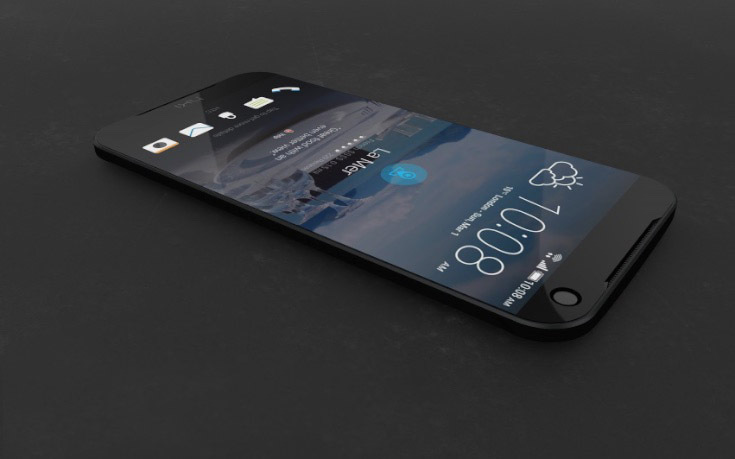 HTC One M8 was a huge success for the Taiwanese manufacturer this year, the firm is already working on its 2015 flagship which is codenamed "M9" but this name will changed before the device hit the markets. 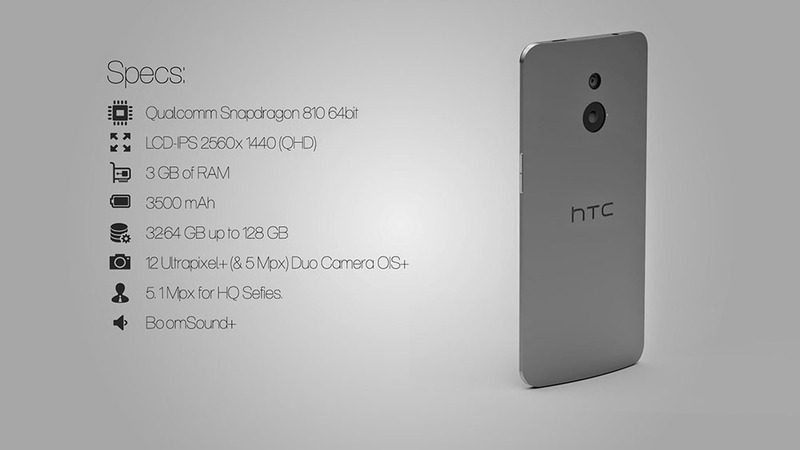 Alleged specs of the HTC One M9 smartphone made the rounds on Chinese social media. 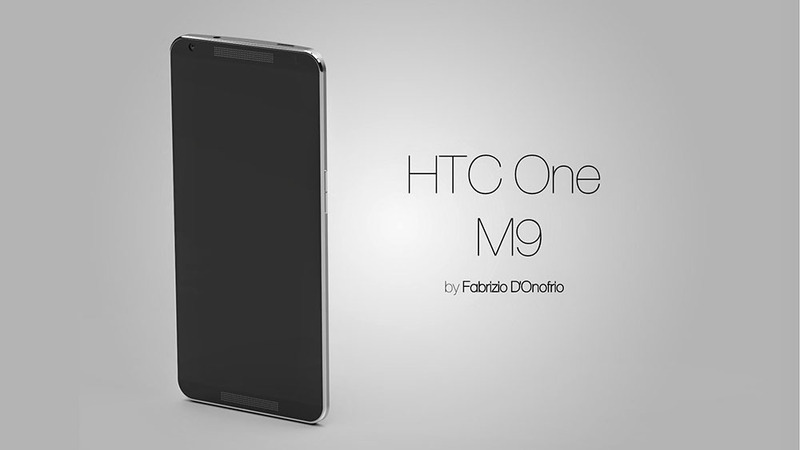 The high-end handset will likely debut in the first quarter of next year with the model number M9. 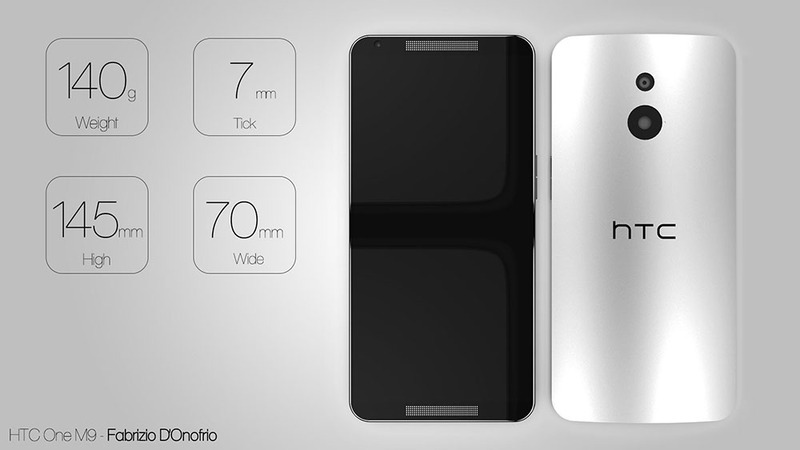 HTC One M9 is tipped to pack Qualcomm Snapdragon 805 chipset and 3GB RAM. 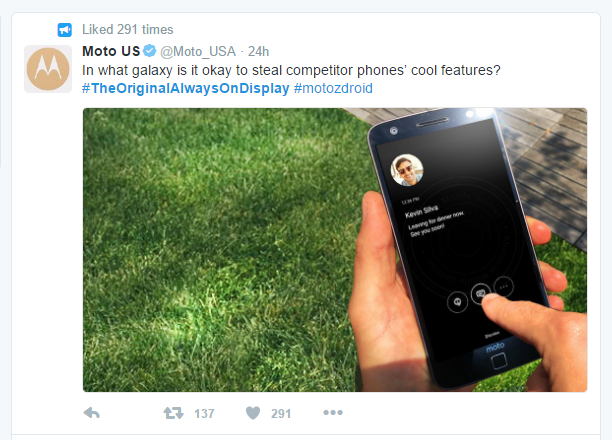 The display of the device is a 5.5" QHD unit. A 16MP camera with optical image stabilization, 3,500mAh battery, and stereo speakers with Bose tech round up the leaked specs. The specs you see above appear legitimate for a flagship smartphone, though we advise you to take a pinch of salt when you read through them. Quite frankly, we will be surprised if the Taiwanese manufacturer's next flagship doesn't ship with 64-bit Snapdragon 810 silicon. 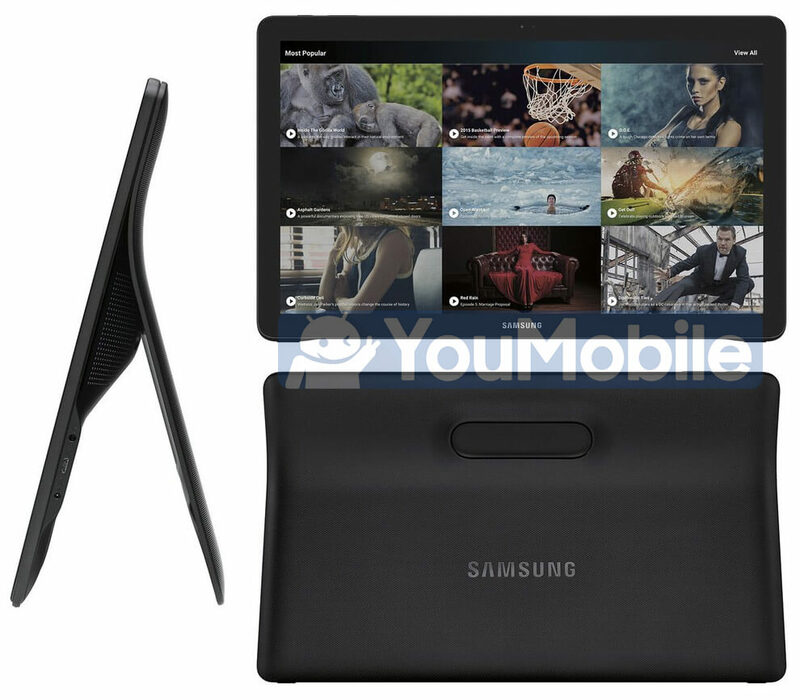 Samsung has officially release its largest tablet ever to the worldwide market and it's called the "Galaxy View". 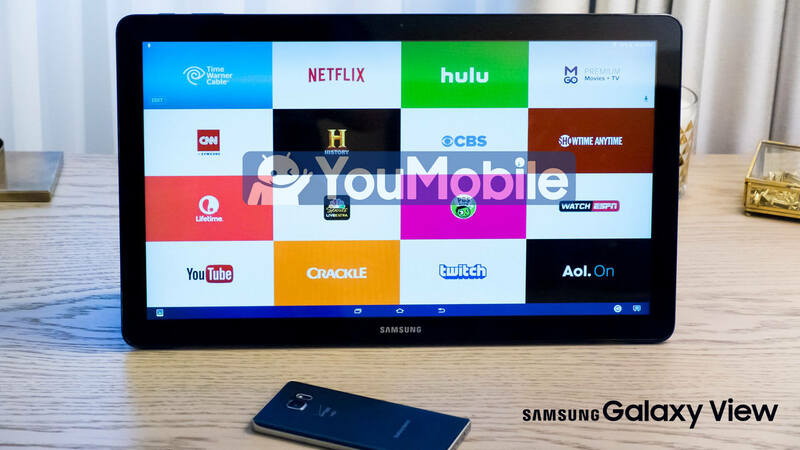 The Samsung Galaxy View packs a huge 18.4" TFT LCD display of 1080p resolution resulting in a pixel density of 123ppi. 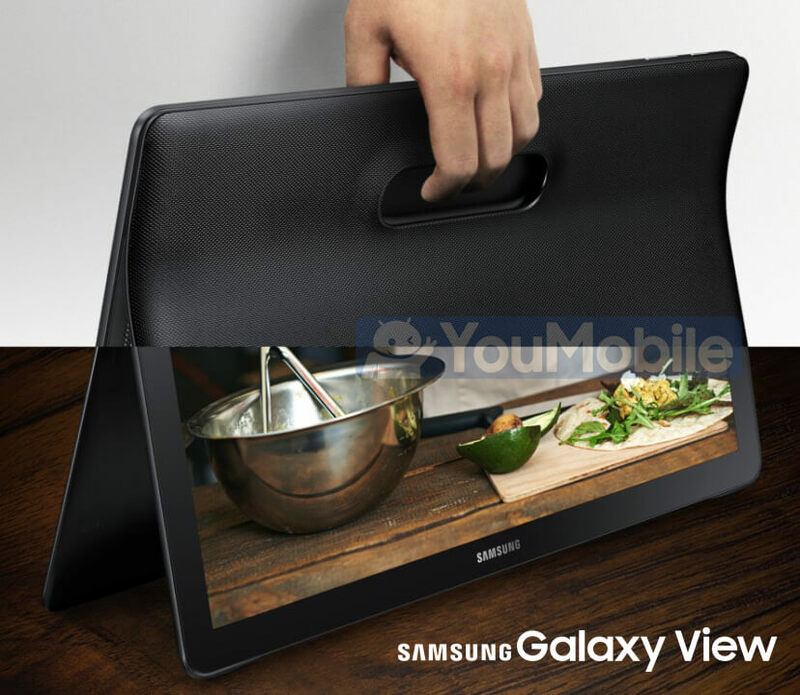 The Galaxy View comes with a handle for an easy carry, as it weighs 2.65kg and measures 275.8 x 451.8 x 11.9mm. Rubber feet at the bottom keep it from sliding about and the back features a 2-way stand. Samsung says the tablet's 5700mAh can provide up to 8 hours of continuous video playback, although it's pretty clear you won't be going away from a power socket often. You'll be further enjoying the video content with a dual 4W stereo speaker setup. 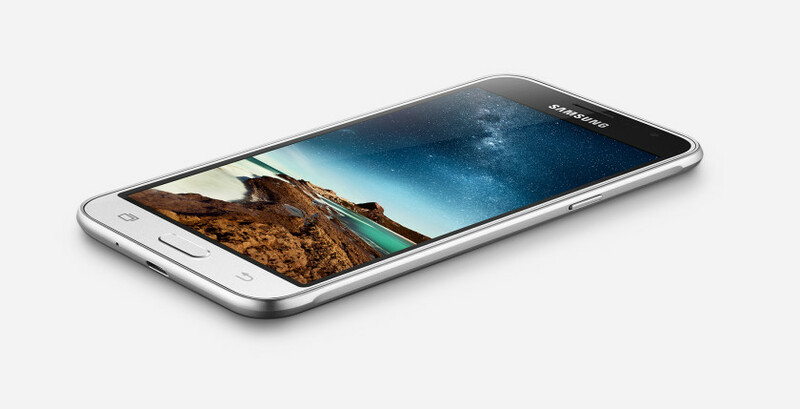 Powering the Galaxy View is an 1.6GHz octa-core CPU and 2GB of RAM, part of the Samsung Exynos 7580 chipset. 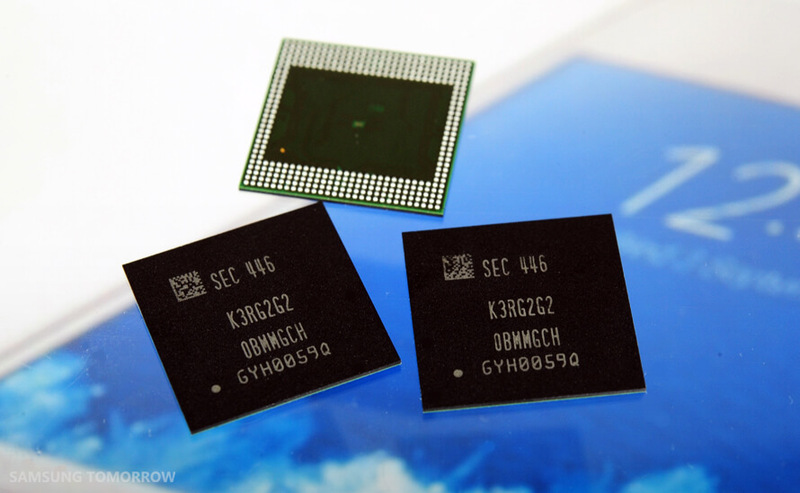 Internal storage is either 32GB or 64GB and is expandable via the microSD card slot on board. 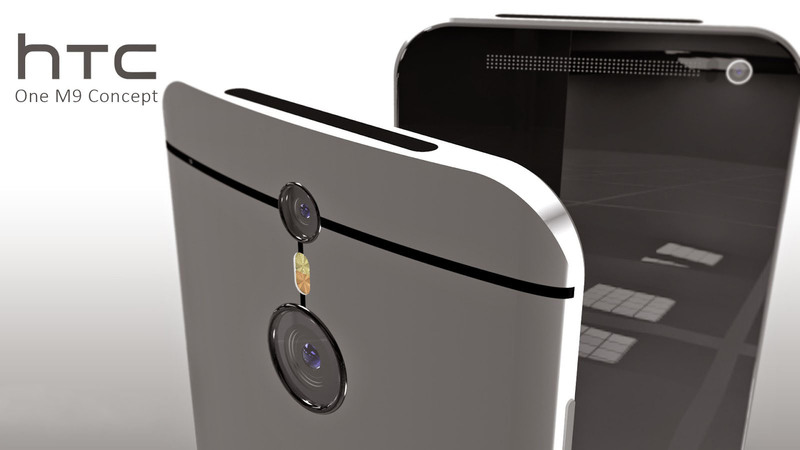 Above the display, there's a 2.1MP camera for video conferencing. 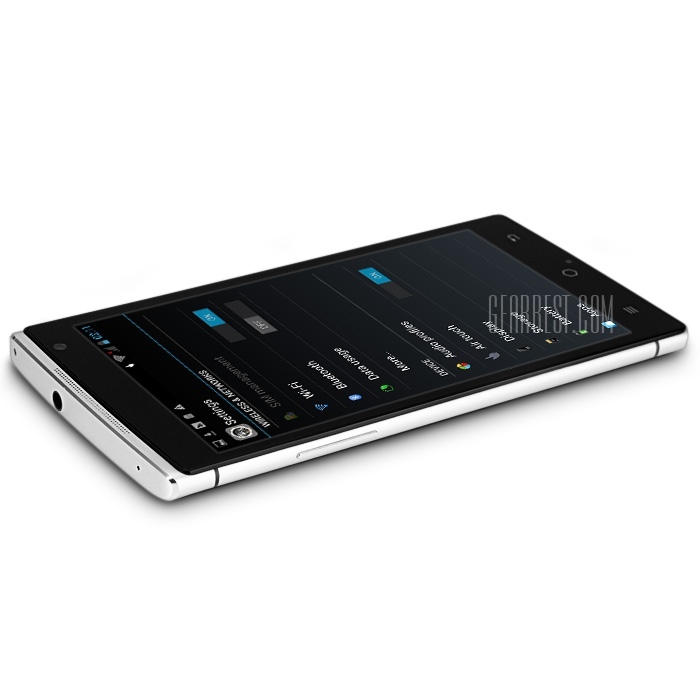 The connectivity suite includes Bluetooth 4.1 BLE, Wi-Fi 802.11 ac and an LTE model with a nano-SIM slot. The company is shipping the tablet with a Media UX skin on top of Android 5.1 Lollipop and is placing a strong accent on video watching. 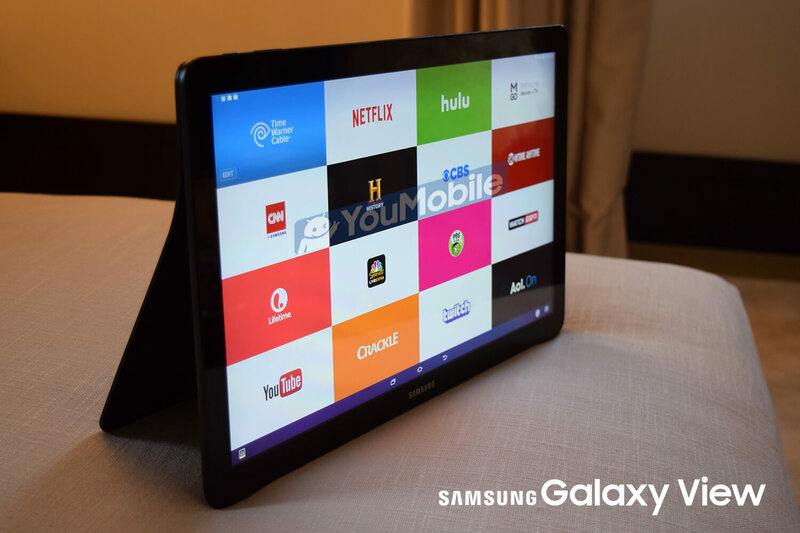 The Samsung Galaxy View is available online from US store Adorama reveals with a price of $599 for the LTE version. 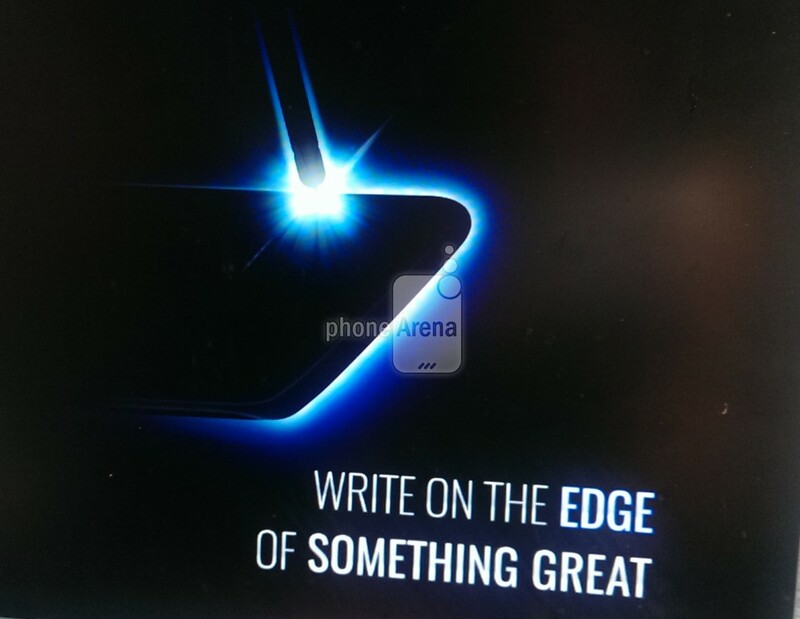 It's a known fact that Samsung is revamping its Galaxy A series and is bringing a refreshing design and some cool new features to the A-series smartphones. 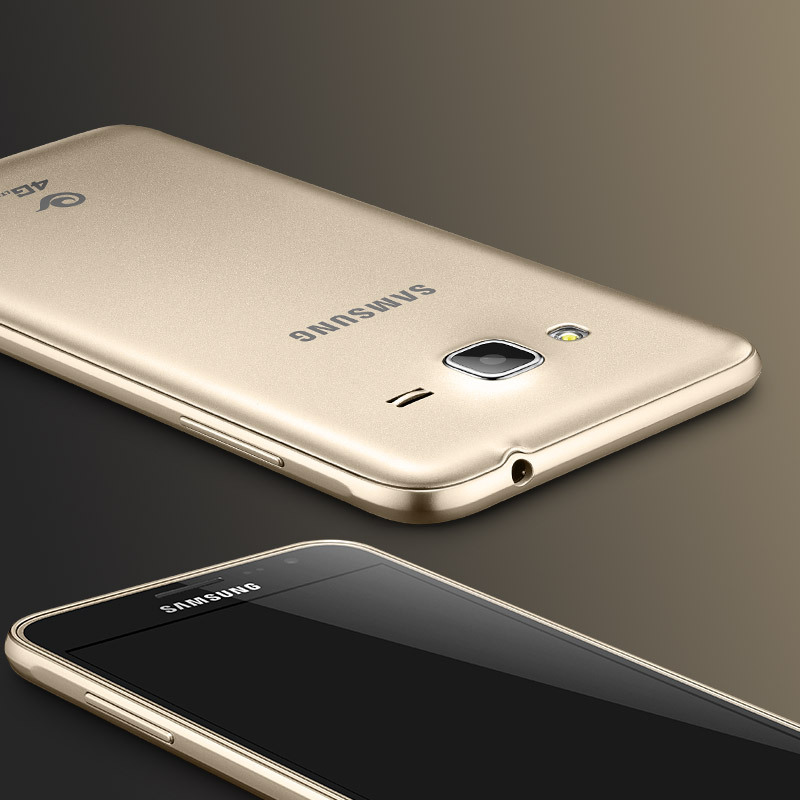 Till now, the 2016 variants of the Galaxy A3, A5, A7, A8, and A9 have surfaced online and we have seen the metal-and-glass body of some of these phones. And now a user agent profile has managed to reveal the screen resolution of one of the device. 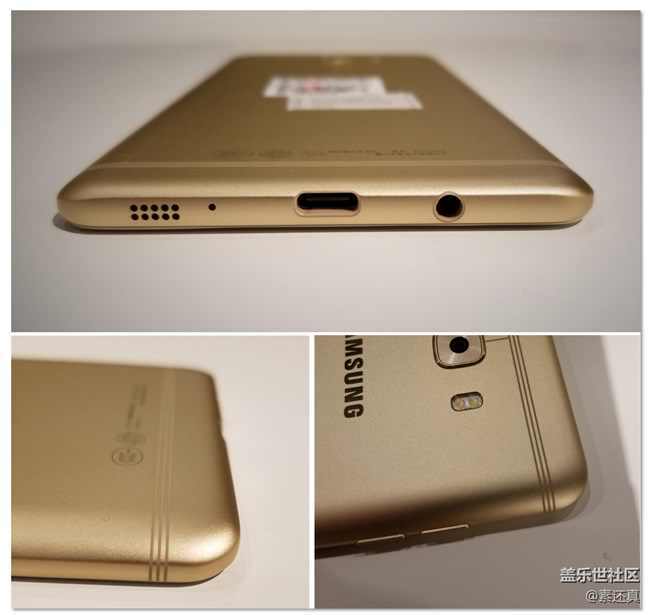 The Galaxy A5 (2016) will be sporting 720p resolution which also happens to be the as that of its previous version. The user agent profile doesn't tell us anything else about the device, but as per speculations the screen size will hover around 5" or 5.2". 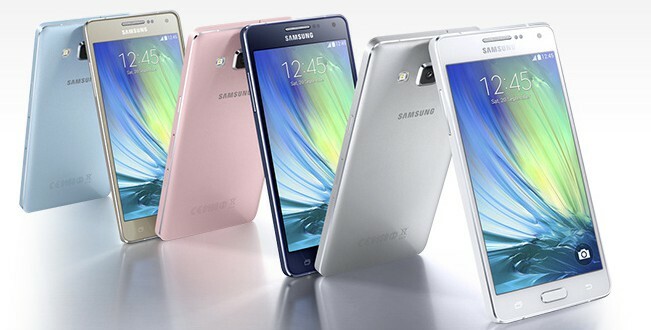 The new Galaxy A5 would also be powered by the in-house Exynos chipset with octa-core processor, backed by 2GB of RAM and 16GB of storage. 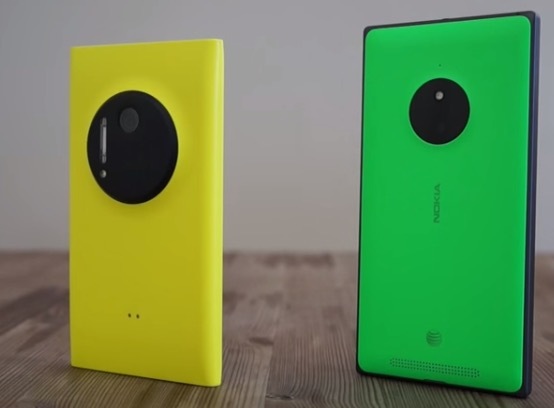 The camera in the back would be a 13 MP unit, while the camera in the front will have 5 MP resolution. The battery capacity will be 2,900 mAh as per the FCC. 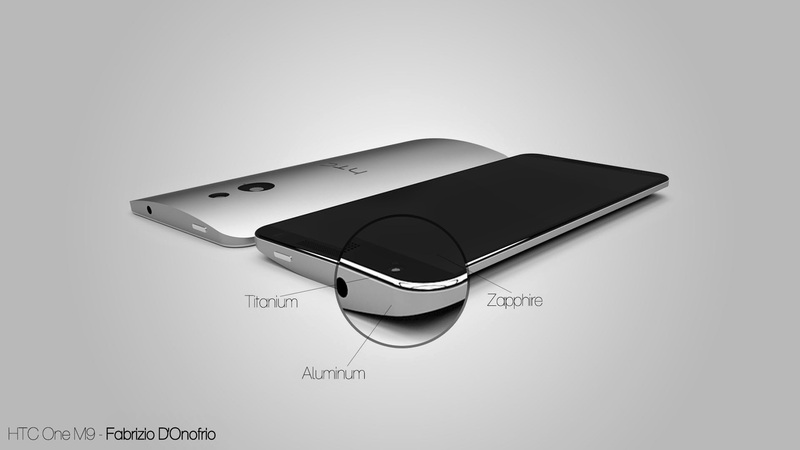 The smartphone will support Android 5.1 Lollipop. 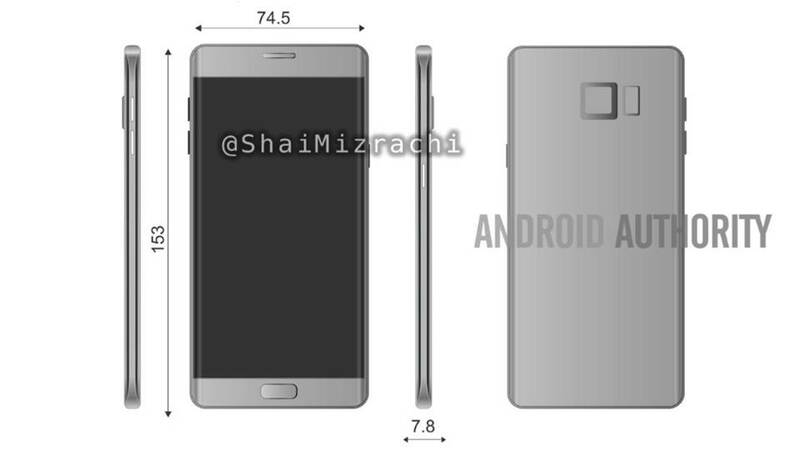 And like the first generation A5, it will also sport a full metal body. Is the Full-Screen display on the Samsung Galaxy S8 going to be a flexible OLED panel? It is no secret that a lot depends on the Galaxy S8 and its success for Samsung as they continue to struggle against the huge losses suffered recently. In fact, we are pretty sure that Samsung is going to leave no stone unturned in order to make the upcoming smartphone as close to perfection as it can be. 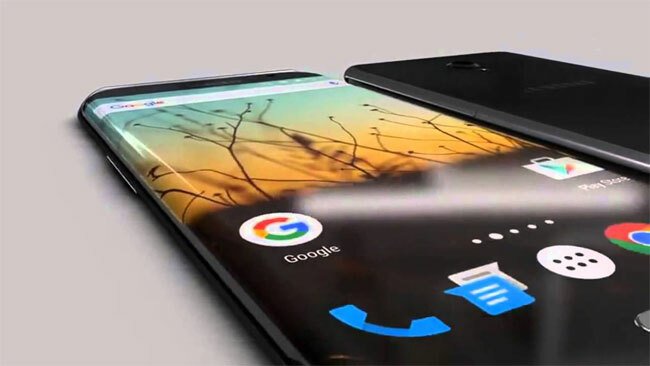 In spite of Samsung officially trying to keep a lid on things, rumors have been getting out about the S8 ever since day one and the latest rumor suggests that the Korean giant could be opting for a flexible OLED panel this time around. The alleged Full-Screen flexible OLED panel with a resolution of 4K will bend around the eyes to make VR experience as immersive as it possibly can be. Keep in mind that Samsung had been using AMOLED displays for its flagship and high-end devices for a long time now and since AMOLED panels too are a type of OLED panel, we are not entirely sure what the difference would be in terms of real life performance in that respect. 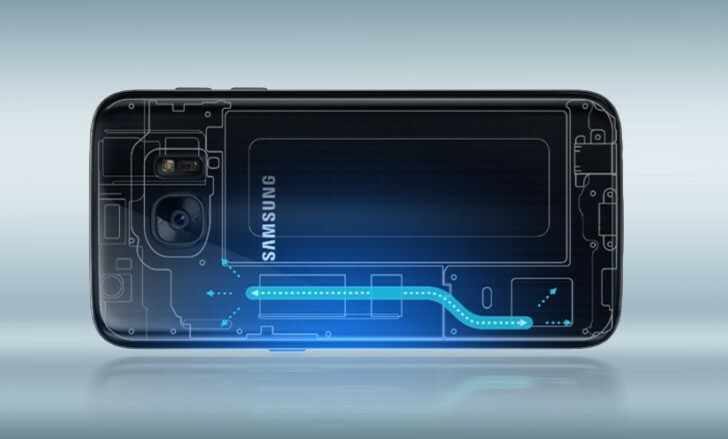 What really sounds interesting is that according to Park Won-sang, an engineer of Samsung Display, Samsung may remove most sensors and even the physical Home button completely from the front side of the S8. 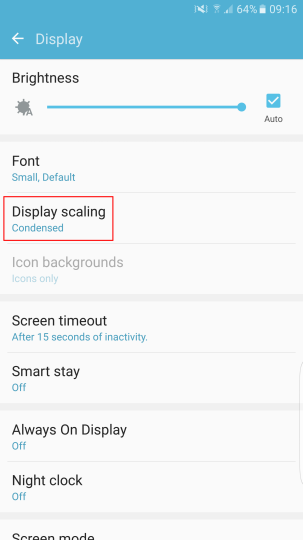 In his own words, "Samsung Display would roll out a full-screen display whose display area ratio (a scale that measures space taken up by a display on the front part of a handset) reaches more than 90 percent next year." The senior engineer further added that the screen-to body ratio might go up to as high as 99%, which is even higher than the only edge-to-edge phone we have seen till date, the Xiaomi Mi Mix. 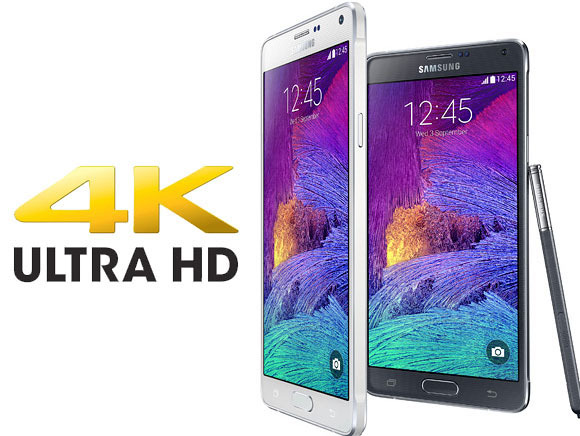 A Samsung flagship smartphone that will sport a 4K edge-to-edge flexible OLED panel! 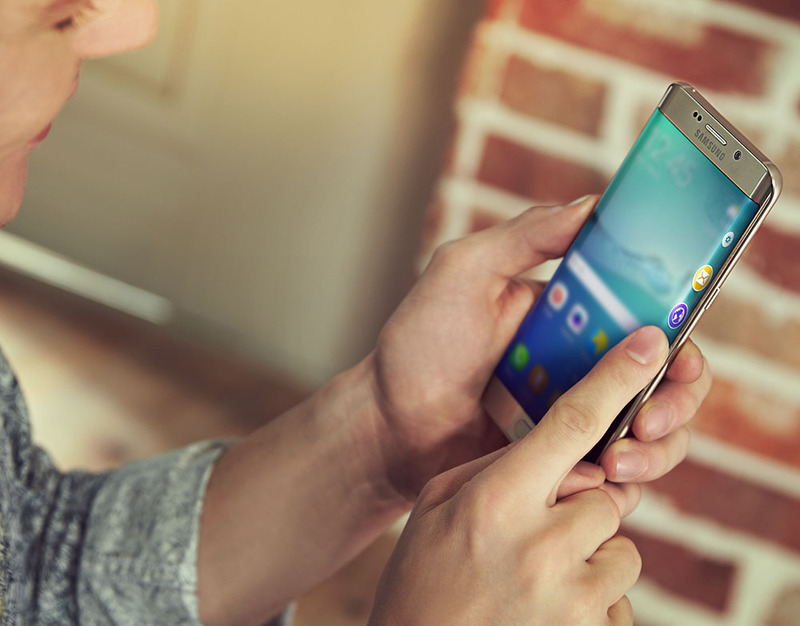 We would say Samsung has got our attention. Tags: xiaomi mi5s might sport pressure sensitive display 6gb ram xiaomi note dual edge display snapdragon 821 6gb ram xiaomi max going have 6.44-inch display new leeco smartphones with curved display 8gb ram? sharp’s upcoming borderless smartphone may have hole display rouyu technology beats samsung launches world’s first smartphone with flexible display 5.8-inch curved display 000 mah battery upcoming galaxy note takee first android device with realistic holographic display 129usd only samsung galaxy now official with new unibody design qhd display exynos 64-bit specs photos price specs samsung galaxy edge+ official with 4gb dual-curved display huawei gets released with 6-inch display kirin 950 soc marshmallow samsung galaxy note pack uhd 2160×3840 dual-edge 762ppi display with 4gb ram samsung launch galaxy note august with dual-edge display would buy nokia with display carl zeiss camera optics? htc's 'perfume' offer quad-hd amoled display laser-assisted 12mp ultrapixel camera more [concept] htc one qhd sapphire display 7mm thin specs photos htc one max pack snapdragon 805 cpu 5.5inch display alleged specs htc one leaked with qhd display ram htc one plus leaked wallpaper confirms quad display download official photos price specs samsung officially reveals galaxy view 18inch tablet with fhd 1080p display galaxy j3⑥ goes live china with 5-inch amoled display 600 mah battery samsung galaxy (2016) come with 720p display per user agent profile samsung galaxy feature pressure-sensing display retina scanner full-screen display samsung galaxy going flexible oled panel? 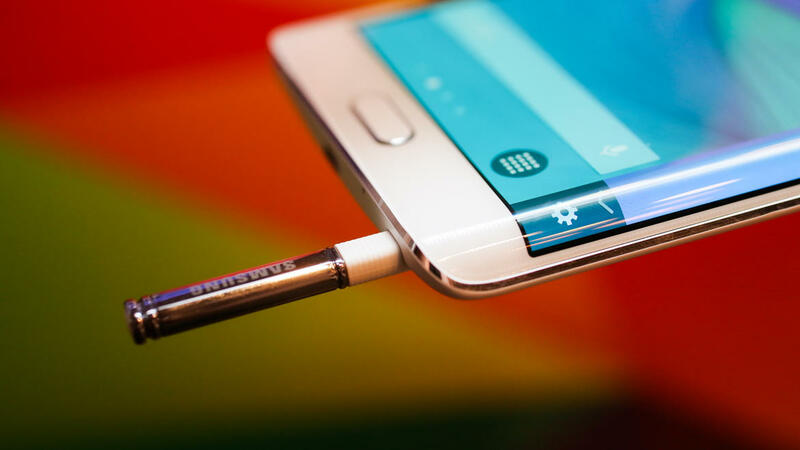 Dual Edge display revealed for the Galaxy Note 6? 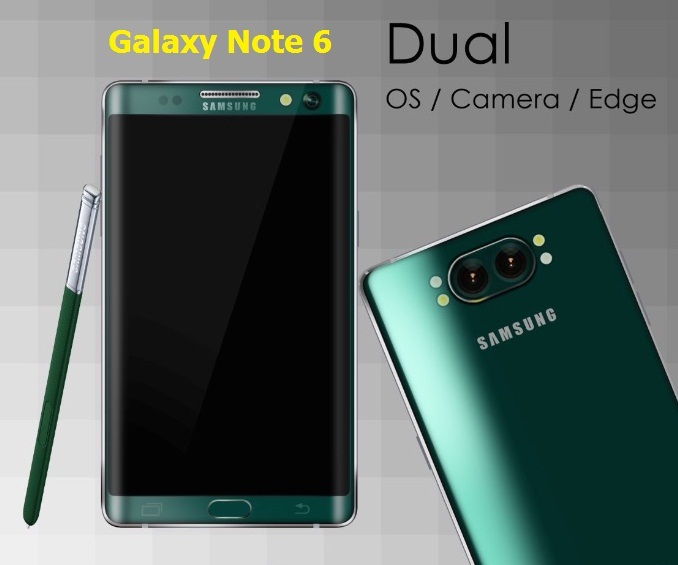 Just recently, we were presented with a vivid render/blueprint of the upcoming Note 6 (or Note 7) and it showed us a lot of details about the next Note. However, it had silenced the rumor about the Note 6 featuring a curved Edge display as it showed no such design elements. If you are like us, then you would have preferred the Edge variant and we do have good news for you then. Another leak has surfaced just recently and it shows that the Note 6 WILL sport a Dual Edge display. Considering that this render was leaked by @ShaiMizrachi, who has provided us with pretty accurate leaks till now, we are quite confident that this could be the real deal. 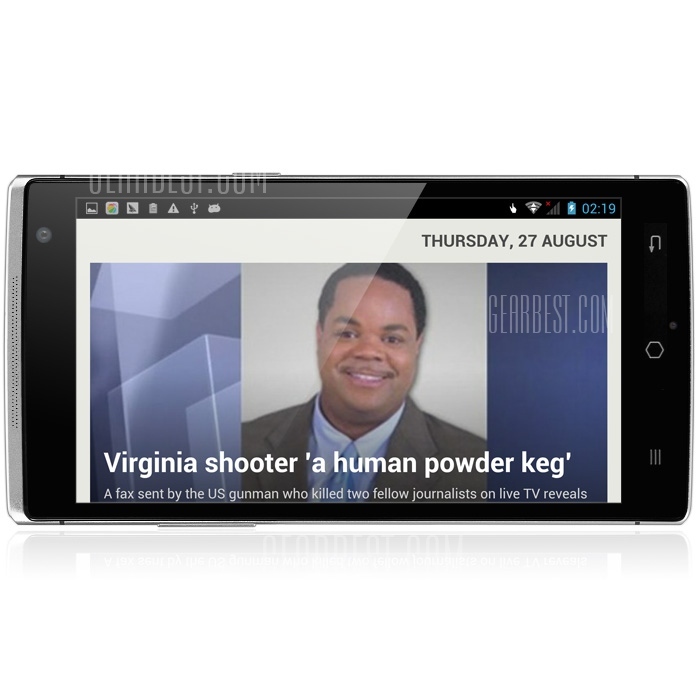 The smartphone shown here is 7.8mm thick, 153mm long and 74.5mm wide. Well, apart from the volume rockers at the left and the power button on the right, that is about all the information that we can decipher from them. 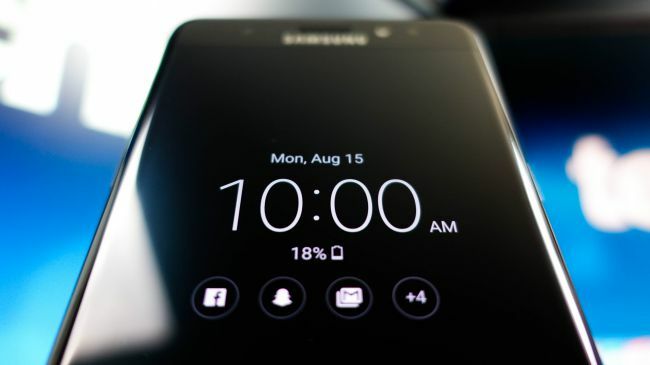 If this news got you excited, you will be more excited to know that another rumor has pitched the final unveiling date for the mysterious Samsung Galaxy Note on August 2. 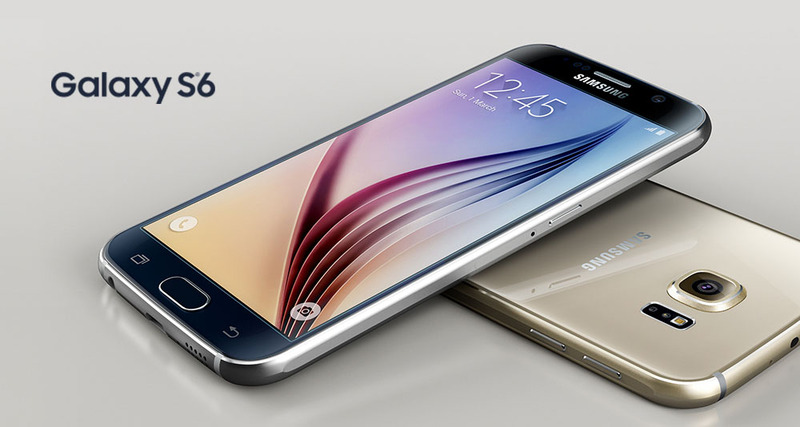 The Galaxy S7 is still going hot and we already have rumors circulating about next year's Samsung Galaxy S8. 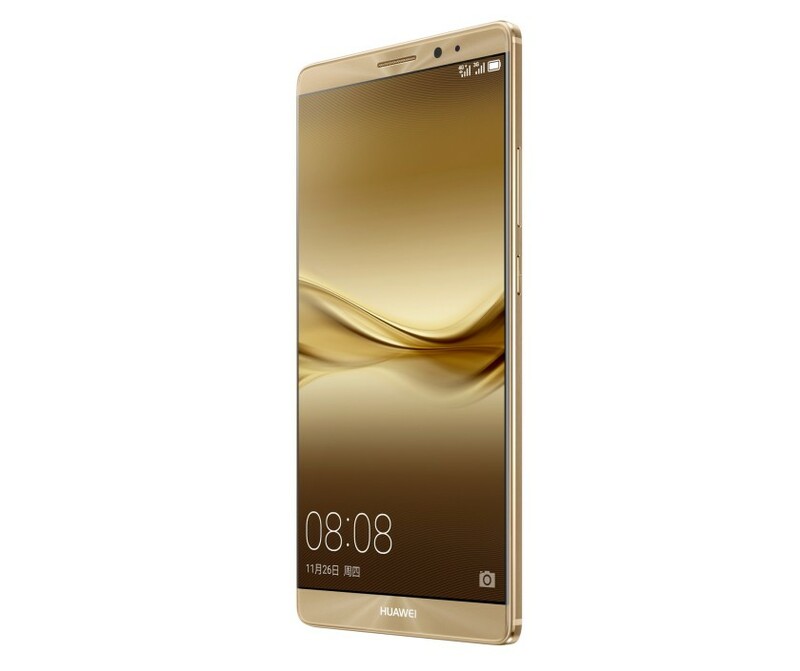 Among these rumors, the most popular one seems to be concerned with the display of the flagship smartphone. 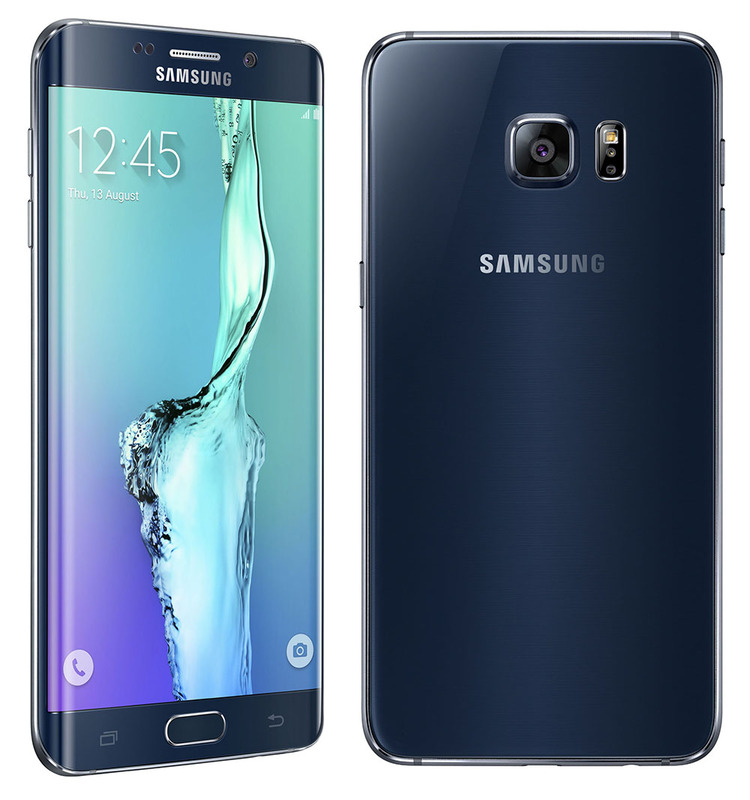 It speculates that the S8 may feature an Ultra High Definition 4K Super AMOLED panel. Considering that the display will only be a 5.5-inch one, some may ask if it is even necessary to make it 4K, and they would probably be right. 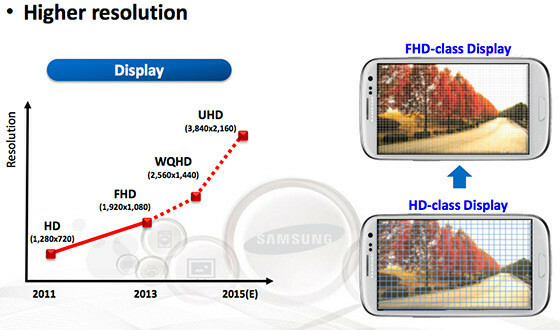 There's a limit to what the human eye can perceive and on a 5.5-inch display, UHD might just be overkill. Nonetheless, the UHD resolution would definitely improve VR experience on the S8 and we are sure that is the main reason as to why Samsung might opt for such a high resolution display in the first place. This assumption or rumor originated after Samsung showcased one of its 5.5-inch Ultra High Definition panels at the SID tradeshow, 2016. Since it has been predicted by analysts that Samsung will start manufacturing these displays on an industrial scale in a matter of months, it would actually not be very surprising to see the panel making its debut with the S8. There is also the trend of Samsung endowing its flagship smartphones with a higher resolution display after every two years and it has already been two years since the S-series started sporting QHD panels (S6 and S7). 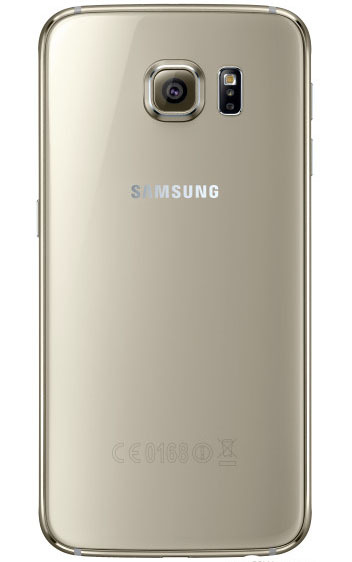 It has just recently come to public attention that the upcoming Galaxy S8 is codenamed Project Dream. 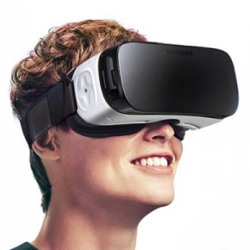 The moniker may have a lot to do with VR and the next steps that Samsung will take to enhance the technology. Even though it is just too early in the day to know in details about the upcoming Samsung flagship smartphone for 2017, sources are pointing towards a 4K Ultra High Definition display (3840 × 2160) on a 5.5-inch panel. They are also pointing towards an independent VR device named Odyssey that will compete with the likes of the Oculus Rift and the HTC Vive. It is rumoured that the Samsung Galaxy S8 will be using the Qualcomm Snapdragon 830 SoC to power everything, with an Exynos equivalent for the international version of course. However, we are pretty sure that the chipset would have to be extremely powerful to run VR apps at 4K resolution! Considering that the Oculus Rift with a lower resolution (2160 × 1200) requires a minimum of a GTX 970 (high end GPU for desktops) to be used properly with a fully fledged desktop, the chipset will have to be significantly more powerful than what we have seen so far on smartphones. Will the Samsung Galaxy X really sport a flexible display with 4K resolution? A new rumor is in the market and it suggests that the Korean OEM could be planning to release five flagship devices in 2017. This theoretical list consists of the Galaxy S8, Galaxy S8 Edge, Galaxy Note 7, Galaxy Note 7 Edge and the rumored Galaxy X. The design of the Galaxy X is based on what ETNews from Korea had reported last month about a tablet-smartphone hybrid being developed around Samsung's foldable display technology. 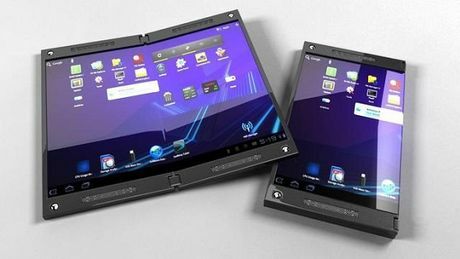 Also dubbed as Project Valley, this concept phone consists of a 7-inch 4K display panel that can be folded into a more pocketable 5-inch screen when required and vice versa. 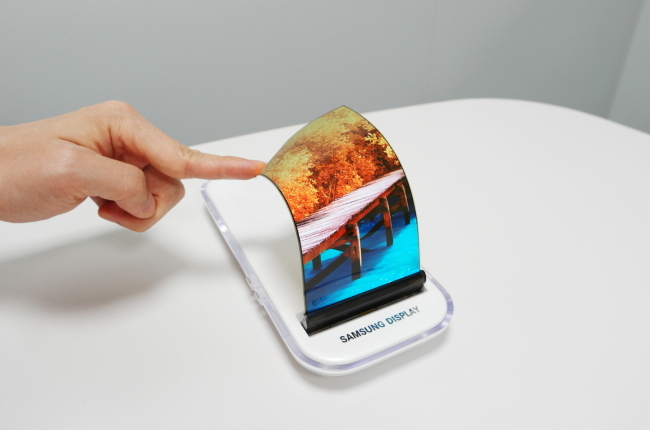 Although Samsung has not yet made any official remarks as to the authenticity of these claims, it was the Korean company which had originally given birth to these rumors by showing off the Youm foldable OLED display panel. 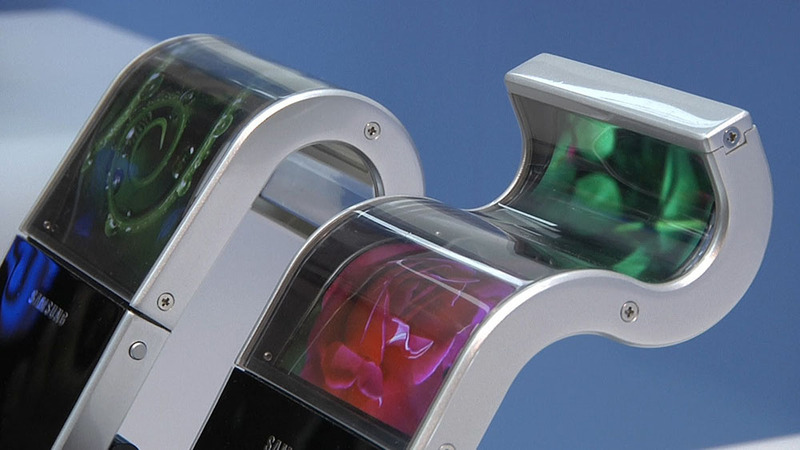 Since it has now been more than five years since that day at the CES 2011, we would not be surprised if Samsung is truly on the verge of making a foldable smartphone by building on that piece of technology. 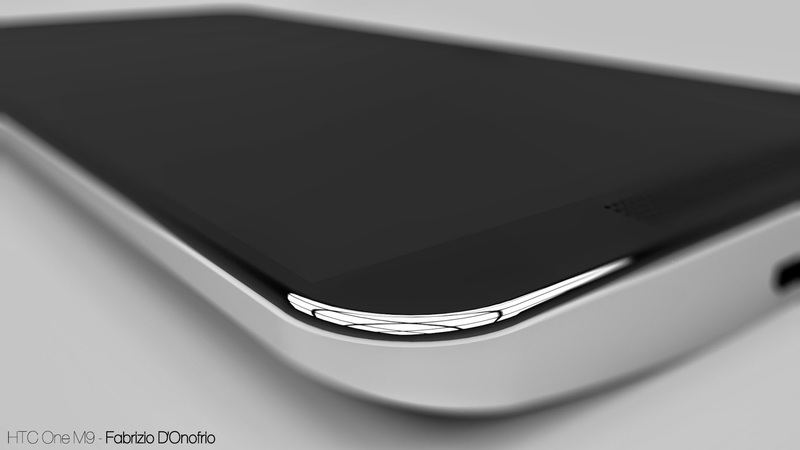 Many market analysts believe that the Galaxy X could be the pioneer for the perfect smartphone in terms of display. Portability has always been a problem with phablets while smartphones with small displays are just not adequate enough to fully enjoy video content on them. If something is introduced into the market that brings both the portability and the large screen aspect together in a single device, it could potentially end the halt in smartphone business that the industry is experiencing right now. 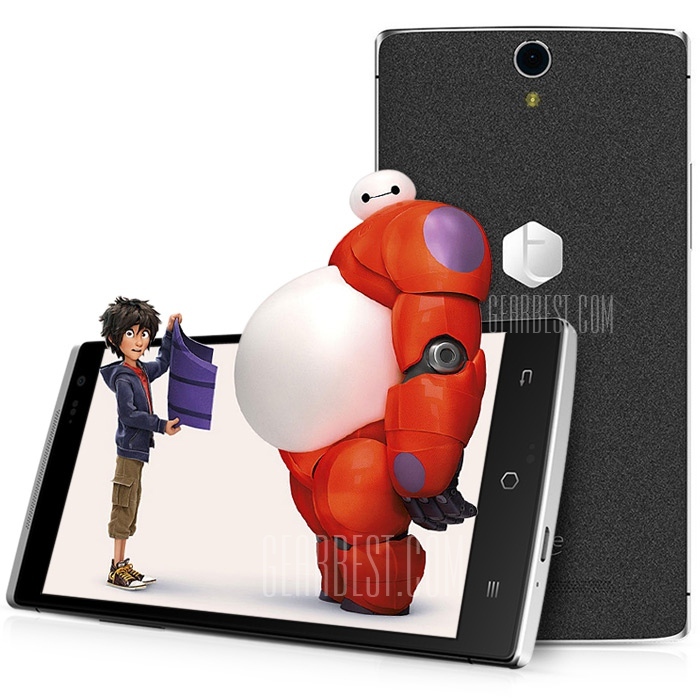 Tags: xiaomi mi5s might sport pressure sensitive display 6gb ram xiaomi note dual edge display snapdragon 821 6gb ram xiaomi max going have 6.44-inch display new leeco smartphones with curved display 8gb ram? sharp’s upcoming borderless smartphone may have hole display rouyu technology beats samsung launches world’s first smartphone with flexible display 5.8-inch curved display 000 mah battery upcoming galaxy note takee first android device with realistic holographic display 129usd only samsung galaxy now official with new unibody design qhd display exynos 64-bit specs photos price specs samsung galaxy edge+ official with 4gb dual-curved display huawei gets released with 6-inch display kirin 950 soc marshmallow samsung galaxy note pack uhd 2160×3840 dual-edge 762ppi display with 4gb ram samsung launch galaxy note august with dual-edge display would buy nokia with display carl zeiss camera optics? htc's 'perfume' offer quad-hd amoled display laser-assisted 12mp ultrapixel camera more [concept] htc one qhd sapphire display 7mm thin specs photos htc one max pack snapdragon 805 cpu 5.5inch display alleged specs htc one leaked with qhd display ram htc one plus leaked wallpaper confirms quad display download official photos price specs samsung officially reveals galaxy view 18inch tablet with fhd 1080p display galaxy j3⑥ goes live china with 5-inch amoled display 600 mah battery samsung galaxy (2016) come with 720p display per user agent profile samsung galaxy feature pressure-sensing display retina scanner full-screen display samsung galaxy going flexible oled panel? dual edge display revealed galaxy note uhd display might just making samsung galaxy samsung galaxy revealed officially with 5.7-inch display 4gb ram snapdragon 625 motorola accuses samsung stealing idea behind always display them samsung galaxy may feature uhd display samsung galaxy really sport flexible display with resolution? 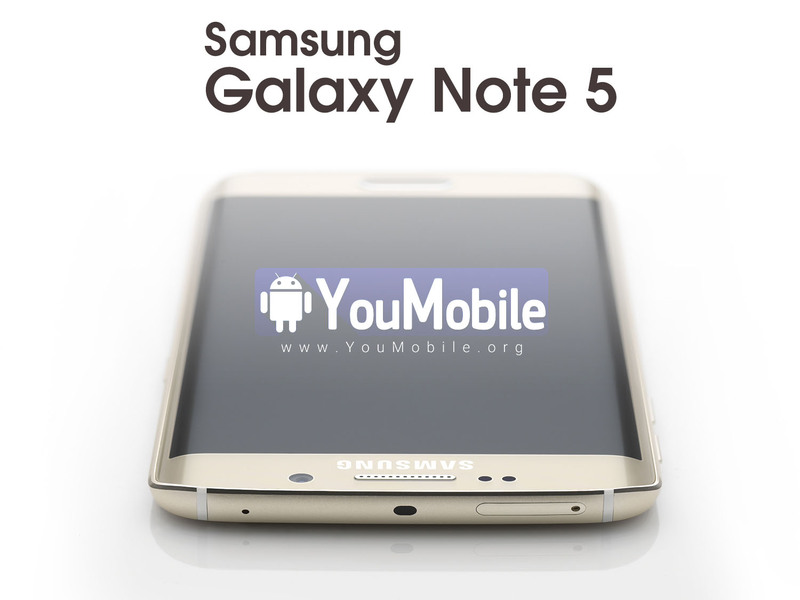 The specifications for the upcoming Samsung Galaxy Note 6 have been leaked and the news it pretty good. Firstly, the 5.8-inch display will come with a slim RGB AMOLED display, which is likely to improve upon the PenTile-type display of the previous Galaxy Note models. 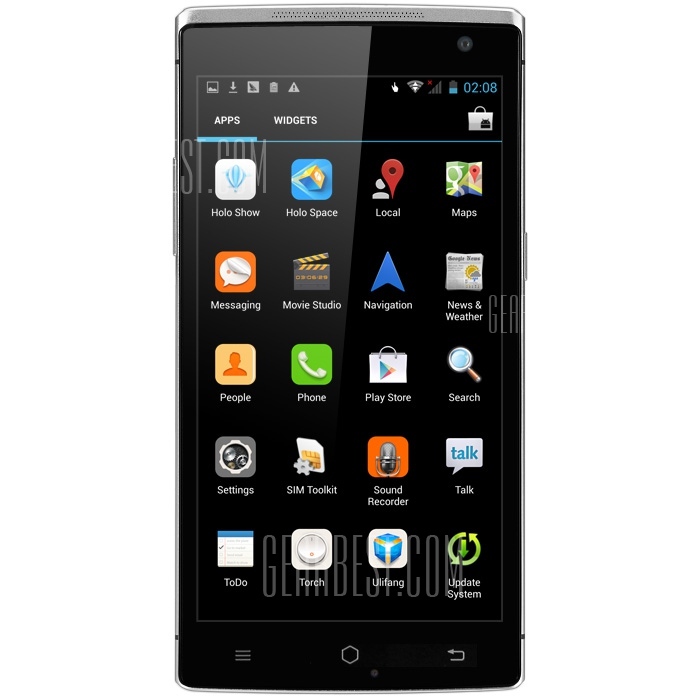 Secondly, the dazzling 6 GB of RAM memory is sure to be able to handle any future Android OS upgrade and numerous resource-heavy apps running at the same time. 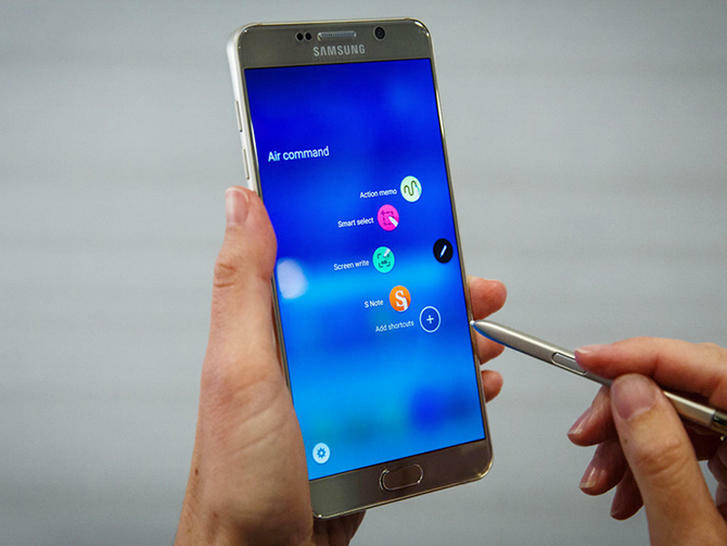 Whilst the Galaxy S7 and S7 edge are garnering the most attention ahead of their unveiling, the Galaxy Note 6 has other people curious who've owned a Note before and cannot manage well without an S Pen and the S Pen range of compatible apps. The latest Note is likely to also sport the Super OIS Plus 12-megapixel camera which is slated for other Samsung models like the S7 and S7 edge as well. 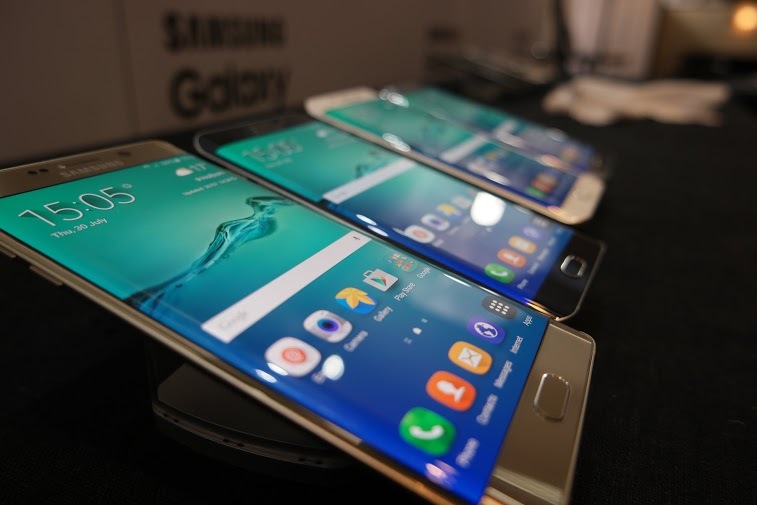 The Mobile World Congress 2016 in Spain from February 21 is going to set the stage for many interested handset releases, including the Galaxy S7 and S7 edge from Samsung. 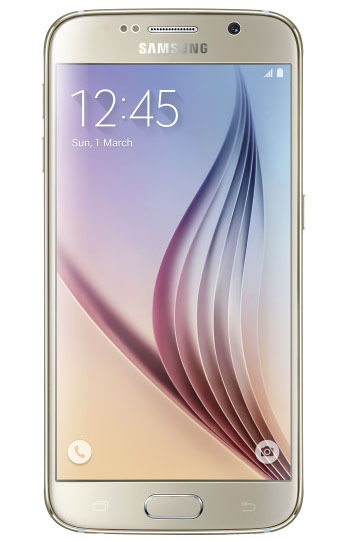 Last year, Samsung walked away with the "Best New Handset, Tablet or Device" award for the Galaxy S6 edge and it's possible they may just achieve the same this year. Samsung Galaxy S8 and Galaxy X: Bio-Blue Display and 4K? It is time for your daily dose of rumors and very few smartphones generate as much hype as the ones that surround the upcoming Samsung Flagship smartphones. Today however, we also have some news about the Galaxy X in addition to the Galaxy S8. To start with, it is very likely that the S8 will have a 4K display as Samsung seems to be in a habit of hiking up the resolution every third year and the QHD resolution has already seen two generations. A 4K display is on the cards also because it would definitely help with the VR content from upcoming VR headsets like the Google Daydream VR Project. The fact that a 5.5-inch 4K display was on show from Samsung at the Display Week Conference in San Francisco, further strengthens the suggestion. 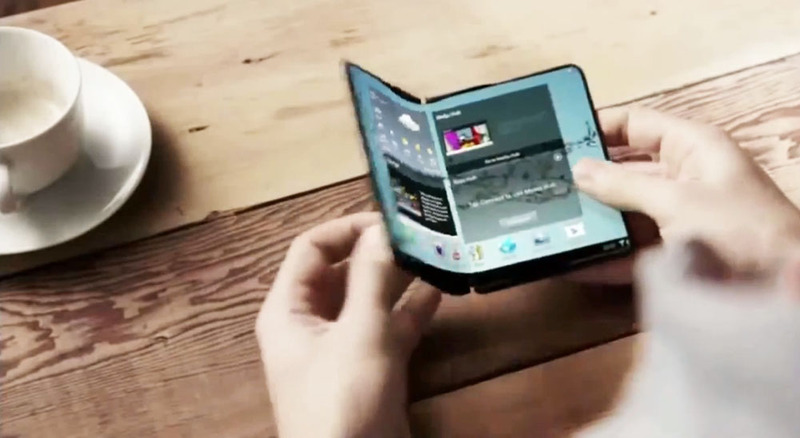 Part of Samsung's Project Valley, the Galaxy X with a foldable screen is now rumoured to sport bio-blue technology as well. 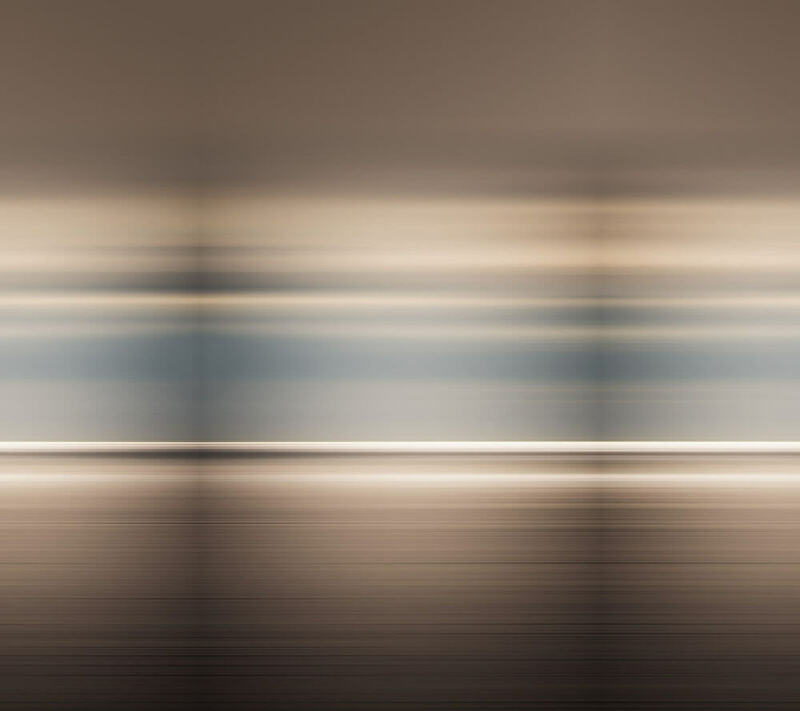 Of course, this one will also be a 4K panel, but with enhanced blue light filters for retinal protection and the ability to bend for a more compact and portable experience. Let us hope that these rumors for the next year turns out to be true as 2017 is fast approaching. 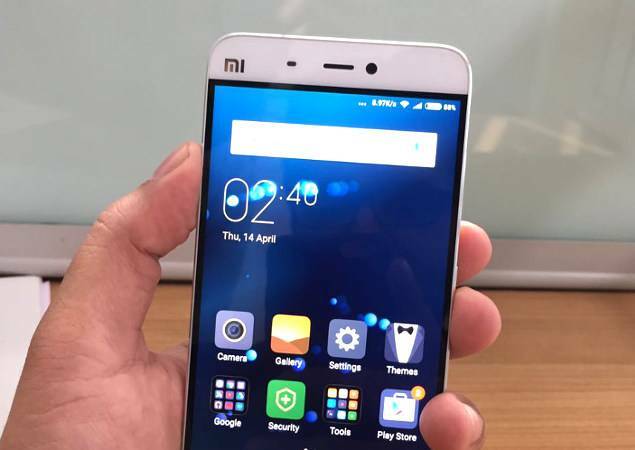 Tags: xiaomi mi5s might sport pressure sensitive display 6gb ram xiaomi note dual edge display snapdragon 821 6gb ram xiaomi max going have 6.44-inch display new leeco smartphones with curved display 8gb ram? sharp’s upcoming borderless smartphone may have hole display rouyu technology beats samsung launches world’s first smartphone with flexible display 5.8-inch curved display 000 mah battery upcoming galaxy note takee first android device with realistic holographic display 129usd only samsung galaxy now official with new unibody design qhd display exynos 64-bit specs photos price specs samsung galaxy edge+ official with 4gb dual-curved display huawei gets released with 6-inch display kirin 950 soc marshmallow samsung galaxy note pack uhd 2160×3840 dual-edge 762ppi display with 4gb ram samsung launch galaxy note august with dual-edge display would buy nokia with display carl zeiss camera optics? htc's 'perfume' offer quad-hd amoled display laser-assisted 12mp ultrapixel camera more [concept] htc one qhd sapphire display 7mm thin specs photos htc one max pack snapdragon 805 cpu 5.5inch display alleged specs htc one leaked with qhd display ram htc one plus leaked wallpaper confirms quad display download official photos price specs samsung officially reveals galaxy view 18inch tablet with fhd 1080p display galaxy j3⑥ goes live china with 5-inch amoled display 600 mah battery samsung galaxy (2016) come with 720p display per user agent profile samsung galaxy feature pressure-sensing display retina scanner full-screen display samsung galaxy going flexible oled panel? dual edge display revealed galaxy note uhd display might just making samsung galaxy samsung galaxy revealed officially with 5.7-inch display 4gb ram snapdragon 625 motorola accuses samsung stealing idea behind always display them samsung galaxy may feature uhd display samsung galaxy really sport flexible display with resolution? 5.8-inch curved display 000 mah battery upcoming galaxy note can now scale display your samsung galaxy samsung galaxy note specs please with 5.8-inch slim rgb display generous 6gb ram only one samsung galaxy note have dual edge display samsung galaxy note edge: 6gb ram dual curved display everything know far samsung galaxy bio-blue display 4k? Zauba, a website that tracks import and export of phones to India, has released some info related to SamSung's latest imports. 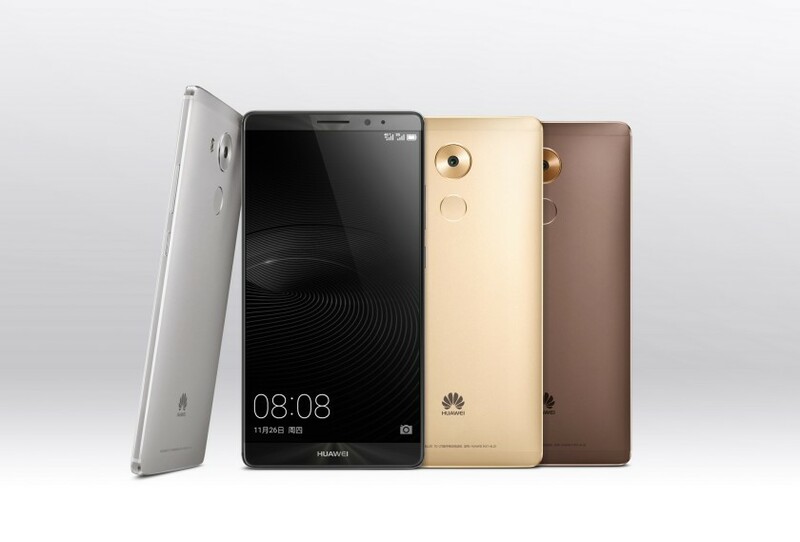 As the new phones are imported in relatively lesser number for testing, it has become helpful in revealing the specifications of the devices. The model numbers of the two smartphones imported into India are actually Samsung Galaxy S7 (SM-G930R4) and the S7 Edge (SM-G935R4). 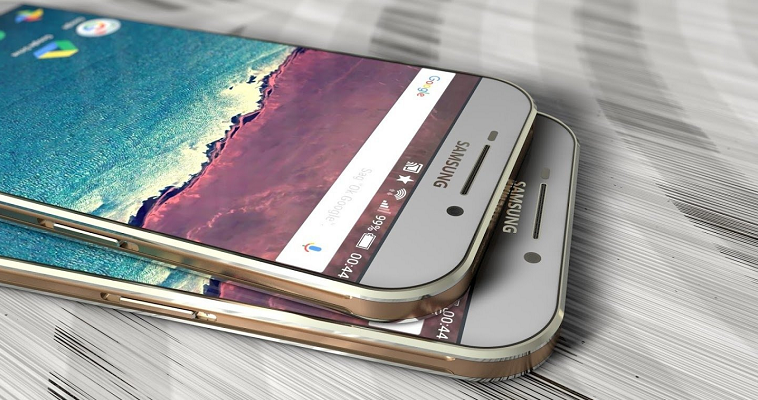 The listing also shows that the Samsung Galaxy S7 will be featuring a 5.1-inch screen and the Galaxy Edge will come with a bit larger 5.5-inch screen. 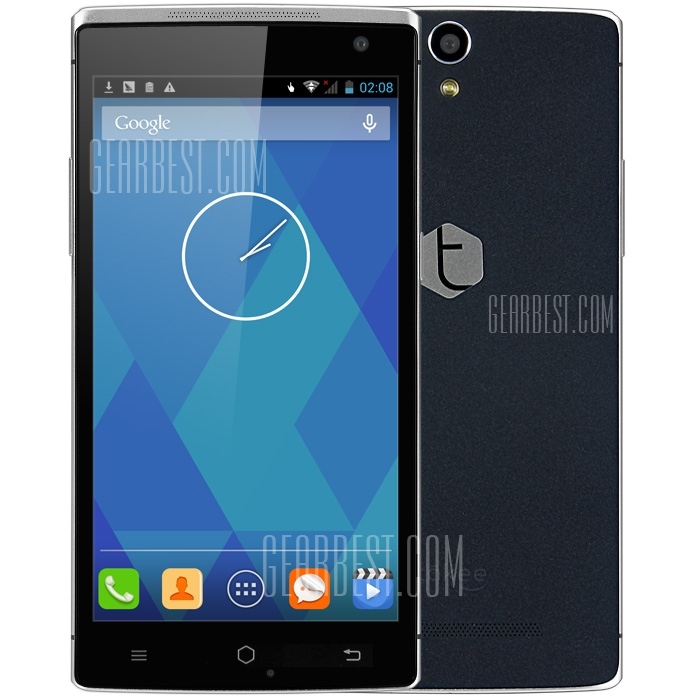 This is in sync with the specifications that were revealed in the AnTuTu benchmark test. 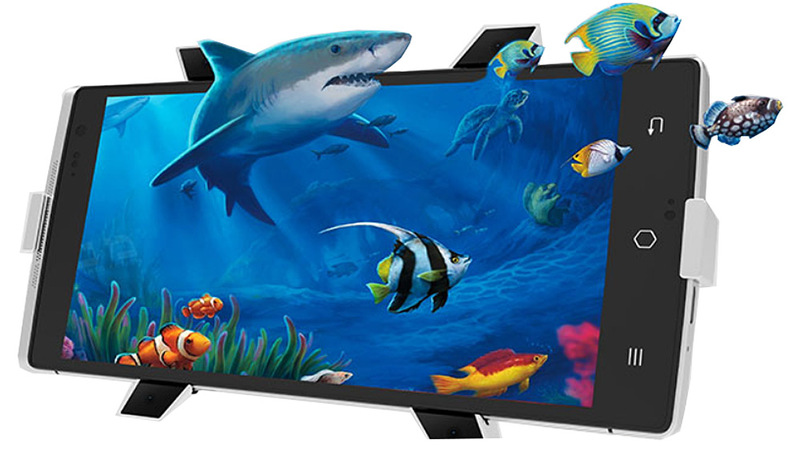 It is expected that the screen will have QHD resolution. The Zauba listing identified first by NapiDroid confirms that the two devices of both the variants have been shipped to the country for testing with hidden IMEI number. The Galaxy S7 and the S7 Edge will cost around $351 and as these units are for testing, the prices actually don't point to anything concrete. These new smartphones where last spied in the AnTuTu benchmark tests and it is still not confirmed whether Samsung would power these devices with Snapdragon 820 or use the in-house Exynos. It is quite possible that Samsung might use both of the SoCs in different variants, just like the way it was done in the Galaxy S5. 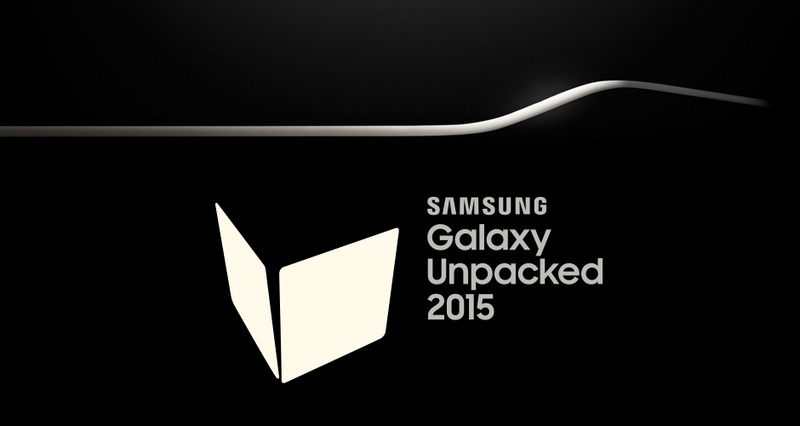 Samsung will be unveiling the Galaxy S7 and the S7 Edge on February 21st at the time of Samsung Unpacked 2016 scheduled at MWC in Barcelona. 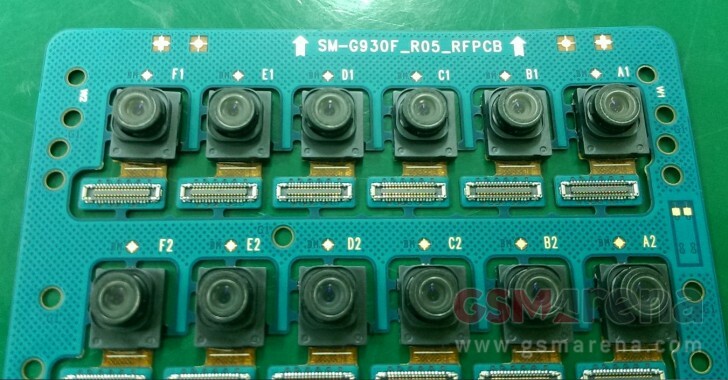 Rumors say that Samsung is planning to ramp up the camera along with some of its inner parts but as far design goes we should expect bare minimum changes. 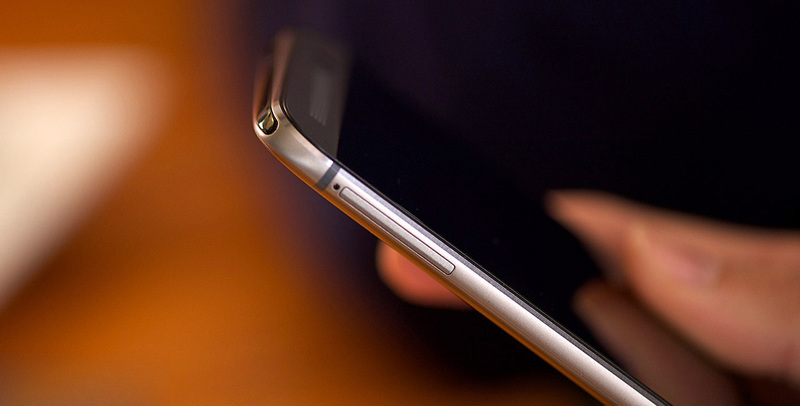 Samsung is all over the tech-news these days, albeit for unwanted reasons. The Note 7 started exploding soon after release and now even a few of the replaced units marked as safe are also showing similar patterns. 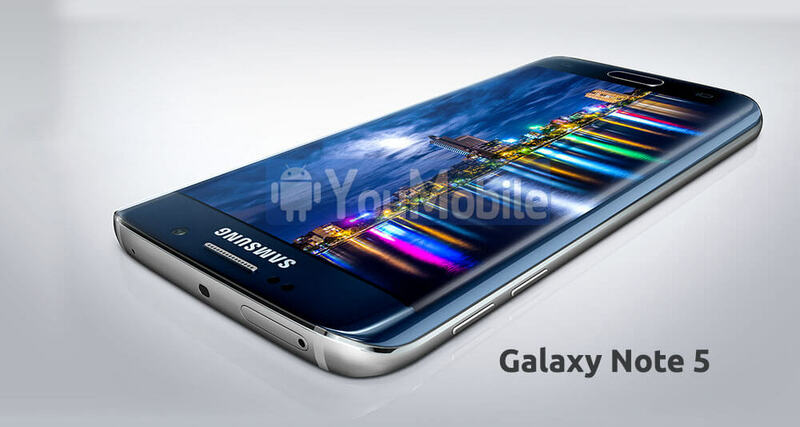 However, we have new rumors about next year\'s Galaxy S8 for you today. We are sure that the Korean electronics giant is greatly depending on the S8 to bring them out of the rut that they are quickly falling in right now. 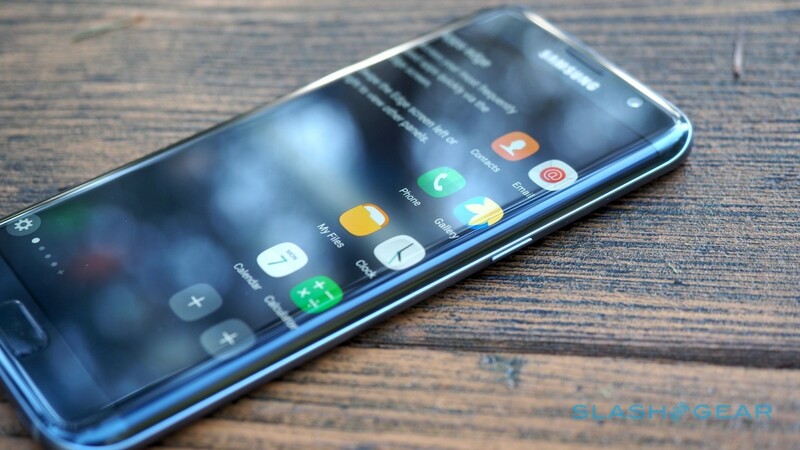 ETNews reports that the S8 may not have a Physical Home button and instead will sport a front that's "all screen\" or "full screen" as they are calling it. 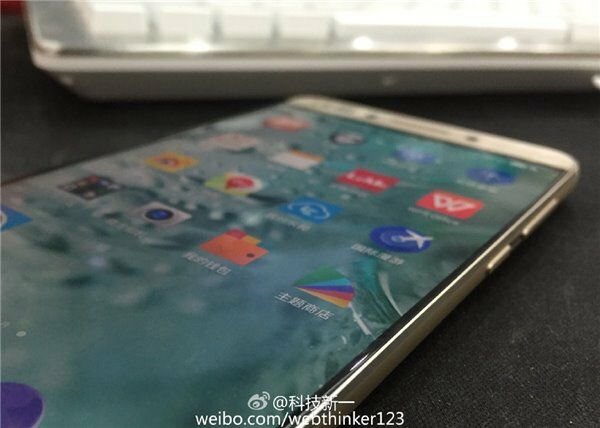 It is interesting to note that the bezel-less front is also something that\'s rumoured to be a part of the iPhone 8. Other rumors circulating around the S8 include a dual rear camera setup or a single 30-megapixel back camera, Qualcomm Snapdragon 830 (10nm)/Exynos 8895 (10nm), a 4,200mAh battery and 6GB of RAM. None of the features except the 30-mp back camera seems too farfetched though and may actually turn out to be quite accurate. 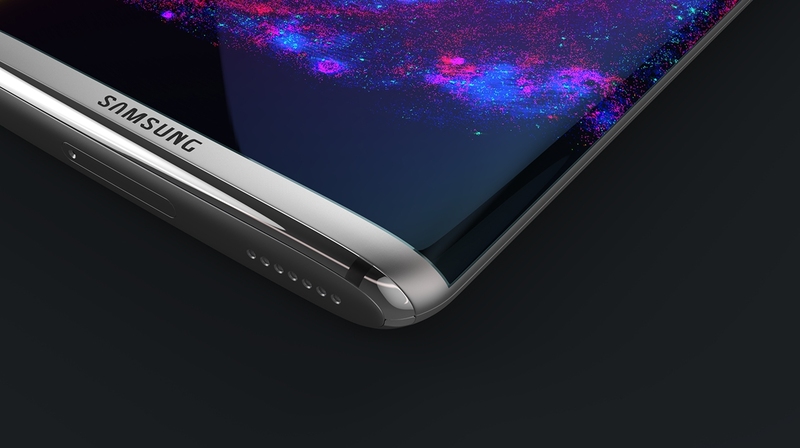 Since ETNews is a reputed source, we are pretty excited to see how the S8 will look with the full screen display, if it really does happen. Samsung Galaxy S8: No 4K display or Home button? In spite of Samsung's best efforts to keep things silent, rumors about the upcoming Galaxy S8 are plenty. In fact, you can almost make a complete specifications chart based on what the rumors are providing. However, they are only rumors and therefore, are perfectly capable of being absolutely wrong. We had heard previously that the S8 will feature a 4K display to make VR more enjoyable on the device, but the latest ones are reporting that the S8 will continue to use a Quad High Definition or 2K display just as its predecessors before it. This might actually be a good decision as a 4K display can put tremendous strain on the battery. We have now heard it multiple times that the S8 will feature a full-screen dual curved display without any physical Home buttons whatsoever. In confirmation to that rumor, new reports are suggesting that none of the Samsung's suppliers have received orders yet for supplying the parts that would be necessary to construct the iconic Samsung Home button. This leaves us to speculate that the fingerprint scanner which has so far been embedded into the Home button will be replaced with an optical fingerprint sensor or may be an ultrasonic fingerprint scanner. We will keep you updated as we hear more. 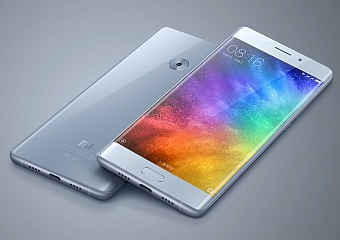 Tags: xiaomi mi5s might sport pressure sensitive display 6gb ram xiaomi note dual edge display snapdragon 821 6gb ram xiaomi max going have 6.44-inch display new leeco smartphones with curved display 8gb ram? sharp’s upcoming borderless smartphone may have hole display rouyu technology beats samsung launches world’s first smartphone with flexible display 5.8-inch curved display 000 mah battery upcoming galaxy note takee first android device with realistic holographic display 129usd only samsung galaxy now official with new unibody design qhd display exynos 64-bit specs photos price specs samsung galaxy edge+ official with 4gb dual-curved display huawei gets released with 6-inch display kirin 950 soc marshmallow samsung galaxy note pack uhd 2160×3840 dual-edge 762ppi display with 4gb ram samsung launch galaxy note august with dual-edge display would buy nokia with display carl zeiss camera optics? 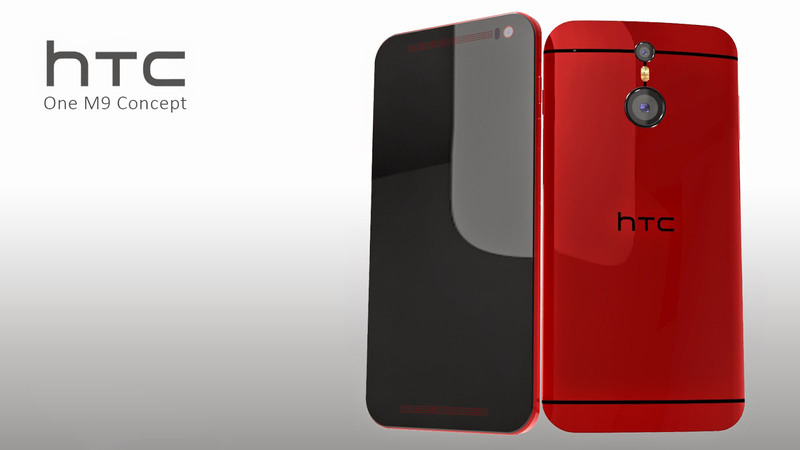 htc's 'perfume' offer quad-hd amoled display laser-assisted 12mp ultrapixel camera more [concept] htc one qhd sapphire display 7mm thin specs photos htc one max pack snapdragon 805 cpu 5.5inch display alleged specs htc one leaked with qhd display ram htc one plus leaked wallpaper confirms quad display download official photos price specs samsung officially reveals galaxy view 18inch tablet with fhd 1080p display galaxy j3⑥ goes live china with 5-inch amoled display 600 mah battery samsung galaxy (2016) come with 720p display per user agent profile samsung galaxy feature pressure-sensing display retina scanner full-screen display samsung galaxy going flexible oled panel? dual edge display revealed galaxy note uhd display might just making samsung galaxy samsung galaxy revealed officially with 5.7-inch display 4gb ram snapdragon 625 motorola accuses samsung stealing idea behind always display them samsung galaxy may feature uhd display samsung galaxy really sport flexible display with resolution? 5.8-inch curved display 000 mah battery upcoming galaxy note can now scale display your samsung galaxy samsung galaxy note specs please with 5.8-inch slim rgb display generous 6gb ram only one samsung galaxy note have dual edge display samsung galaxy note edge: 6gb ram dual curved display everything know far samsung galaxy bio-blue display 4k? 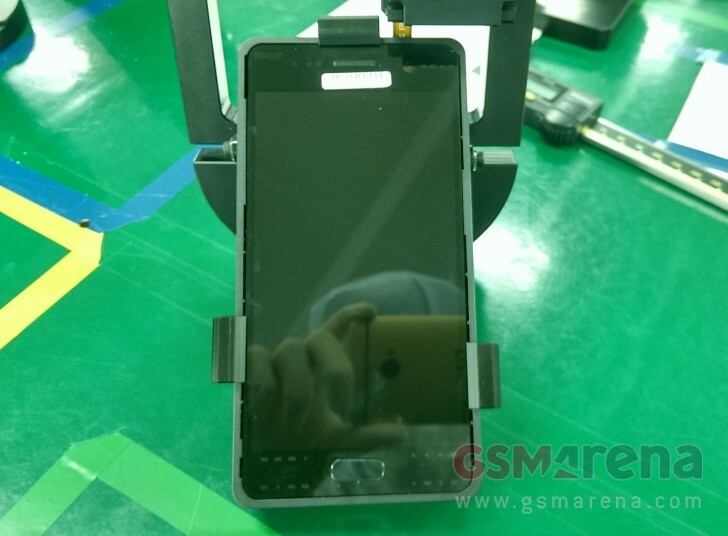 images samsung galaxy front camera display panel leaked zauba listing spots 5.1-inch display samsung galaxy 5.5-inch edge curved display confirmed leaked samsung galaxy note teaser samsung galaxy pro now official with 6gb ram snapdragon 653 6-inch display new rumor suggests screen full display samsung galaxy galaxy might packing touch-esque pressure sensitive display samsung galaxy s8: display home button?